Logan Township is excited to bring this new tool to our business community and residents. You are visiting our new employment portal designed with the goal of connecting qualified Logan Township residents and local candidates with open positions at businesses in the township. The initial idea to create a job portal specifically designed for Logan Township came from the Mayor and Council and their goal of a 0% unemployment rate for Logan Township residents. Over the last several years, the governing body has been meeting with town business owners and management, in addition to residents in need of jobs, to hear about the collective employment challenges they face. 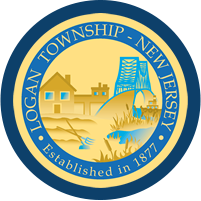 The Logan Township Employment Portal has been designed for the local businesses, with their specific needs in mind. The employment portal features custom options that pertain to Logan Township jobs; no generic application forms or unrelated questionnaires involved. Companies are given flexible methods for job postings, based on their preferences because we understand that not all businesses vet and hire employees the same way. The functionality of the employment portal will match those of all of the major commercial job portals. Such functionality will include the ability to search and filter job results by several criteria. We are pleased to say that it will be entirely free for town businesses to post job openings, potentially saving employers thousands of dollars on outside employment posts and portals. Employees will have the ability to create profiles and upload their resume to promote themselves to potential employers. For press and non-technical questions, please contact Jared Rollins with the Township of Logan.